In Theory II, I propose what the “Queen” could look like if her face was not destroyed. 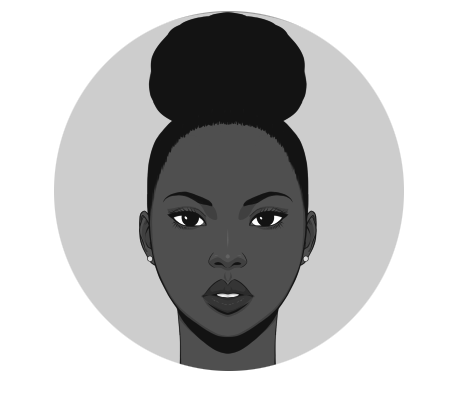 I give her not only a face, but a voice as well drawing inspiration from the Black Girls Rock. To do so, I invoke Black women throughout history and their words that continue to navigate between various places and spaces including, but not limited to slavery, the legal system, education, politics, and the media. These faces include Harriet Tubman, Kheris Rogers, Octavia Butler, Maxine Waters, Solange, Hortense Spillers, Remy Ma, and Michelle Obama, among others. You may not know some of these women, but they matter all the same.